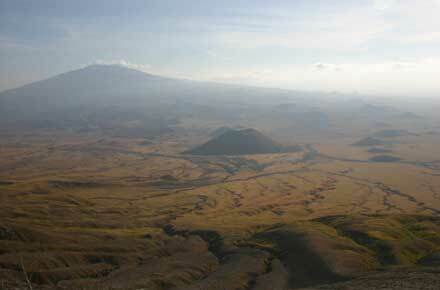 A remarkable active volcano rising nearly 2,000m from the floor of the Great Rift Valley in northern Tanzania. 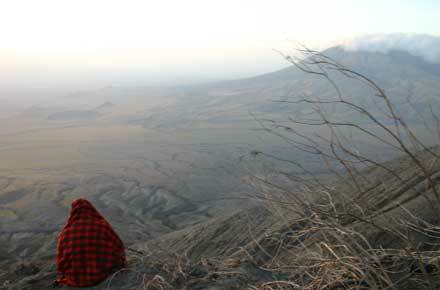 Combine the intense experience of an active crater (rumblings and belchings of ash and gas to be expected) with magnificent views across the Rift Valley and across to the extinct remnants of the Avenue of Volcanoes, and along the Gregory's Rift escarpment toward Lake Natron. 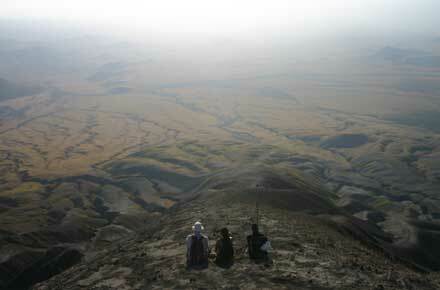 Climb at night to avoid furnace heat and to get the fabulous early morning views. This is a tough, steep scramble. 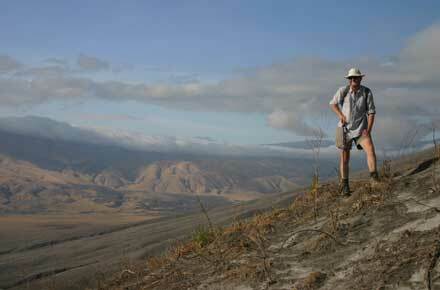 Come prepared for a difficult walk and the dangers of an active volcano. Make sure you have an experienced guide. Do not attempt this walk if you are not experienced or have any liability to vertigo. 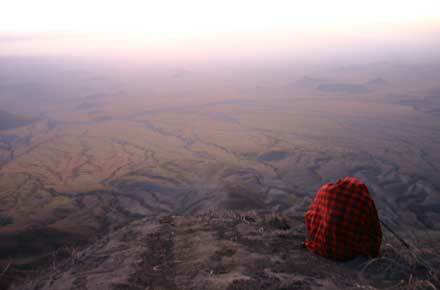 Note: Negs: Towards the top, a very difficult, dangerous scramble (as of 2008). 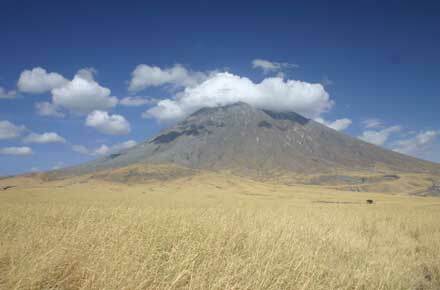 Ol Doinyo Lengai, the Maasai Mountain of God, rises nearly 2,000m from the floor of the Great Rift Valley in Northern Tanzania in a steep, deeply eroded cone of pale sodium and potassium carbonates. Its flanks fall in a perfect, unbroken curve to the sweltering plains of the valley bottom. It is truly magnificent. Geographically young, but the only active volcano in the region, it rumbles and throws up ashes and gas at its quiet times. 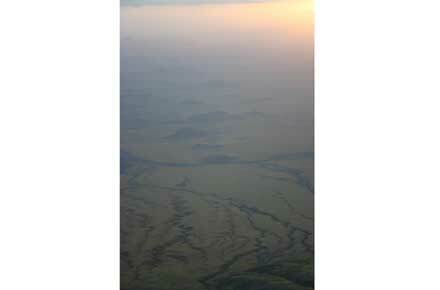 It erupted violently from September 2007 to April 2008, sending a column of ash thousands of meters into the air and turning the hills to its west into a ghostly moonscape. The crater changes constantly. Below its dark shattered cliffs is a huge flat pool of unique pale lava and crusty chemicals from which strange spires protrude. New ash cones are already appearing. Being there is risky: responsible guides equip climbers with a hard hat, goggles and a mask, as the produce of any moment cannot be predicted. You are next to nature at its rawest and newest. 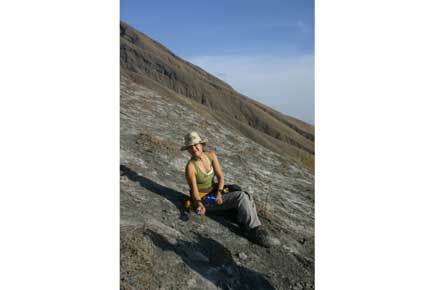 In late 2008, it was too dangerous to go into the crater itself, which had to be surveyed from its rim. 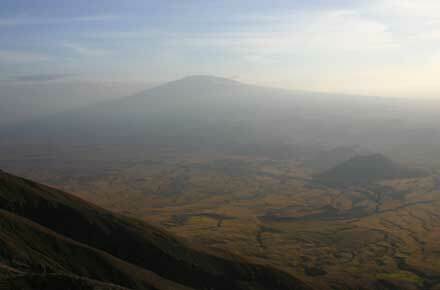 The views along the Great Rift Valley, to the other (extinct) constituents of the Avenue of Volcanoes, and over the fumeroles and blow-holes that dot the glassy plain far below, are outstanding. Lengai is a sinister, immanent presence for miles around, and it is not surprising that it has an important place in Maasai lore. Many still visit it to sacrifice and pray. Getting up there is tough. 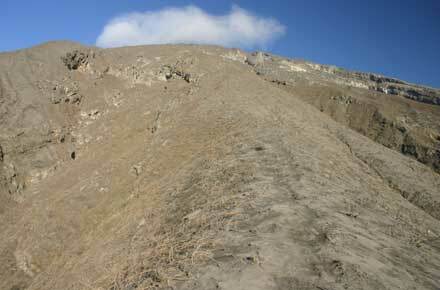 Before the recent eruption, you scrambled agonizingly up steep, loose ash slopes from the north - one step back for every two taken but this is now deemed too dangerous as it takes you into the active crater. The best route is currently (i.e. late 2008) from the east, but this has its own dangers: while it follows a narrow ridge that perhaps offers a steadier climb, the upper reaches are very steep and now coated in a hard, brittle crust (the result of rain on the ash of the recent eruption) which, while giving a fairly good grip when climbing, is harder to descend and could reward an error with a long unstoppable slide, quite possibly ending in a fall over a cliff. 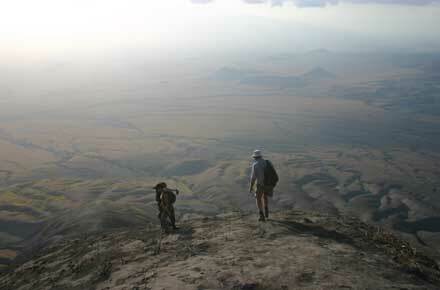 It is currently a place for very experienced scramblers with a taste for risk and a head for heights. A good guide is vital, not least because the trailhead would be impossible to find without a 4WD and a knowledgeable driver. You should climb Lengai at night, to avoid searing daytime heat and to enjoy the wondrous dawn, which is a gradual but thrilling display, as the plain far below slowly emerges from the soft darkness. A clear sky will make for marvellous stargazing during breaks. 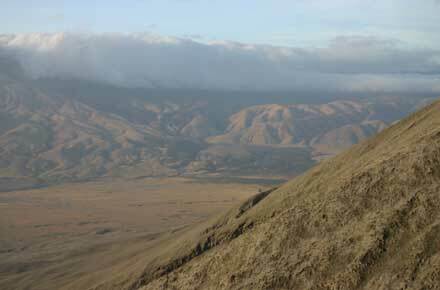 The trail starts up a steep grassy slope onto the long ridge, which leads straight up the mountain between deeply eroded gullies on each side. While it starts with a fairly easy plod through alternating patches of long grass and ash crust, it soon becomes a steep and narrow clamber not exactly a knife edge, but at times not far off, with crisp slopes leading to drops into the invisible ravines to each side. The climb becomes uncomfortably steep at its upper reaches and you will pack away your walking sticks no use when scrambling on hands and knees. The descent is slow and uncomfortable, half of it likely to be on your derrire, hands and heels. Take thick gloves. Ol Doinyo Lengai, the Maasai Mountain of God, rises nearly 2,000m from the floor of the Great Rift Valley in Northern Tanzania in a steep, deeply eroded cone of pale sodium and potassium carbonates. 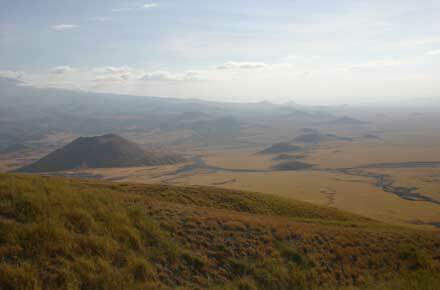 Viewed from high on Gregory's Rift, the escarpment forming the western wall of the Rift Valley, its flanks fall in a perfect, unbroken curve to the sweltering plains of the valley bottom. It is truly magnificent.